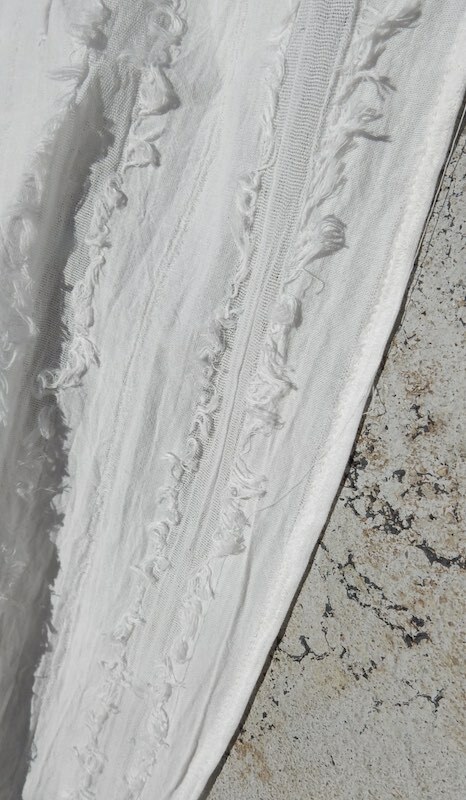 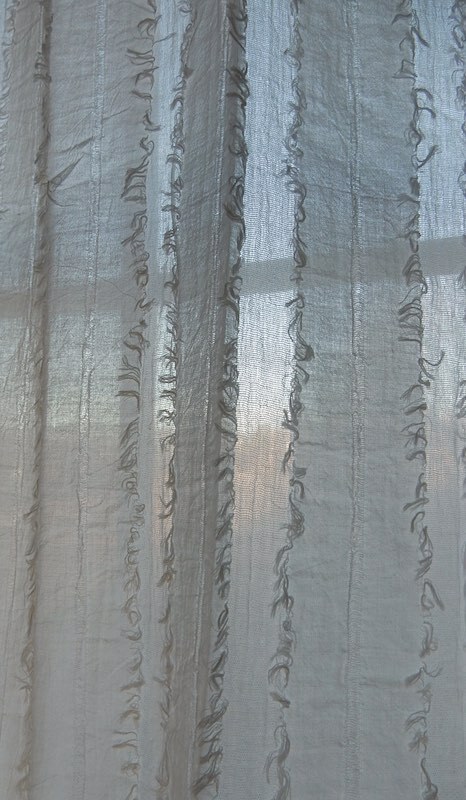 A rustic French curtain panel, Nuage plays with the light reflecting through a luminous stripe with ragged edges. 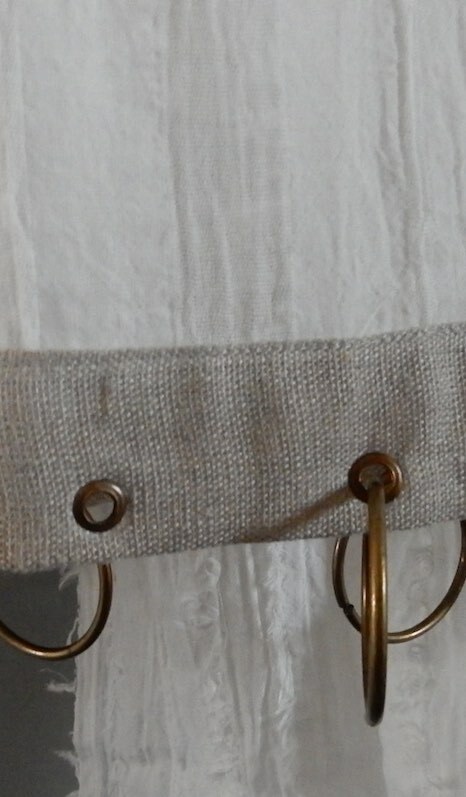 The curtain is hung with brass rings (supplied) which are attached to a fine contrasting natural linen band. 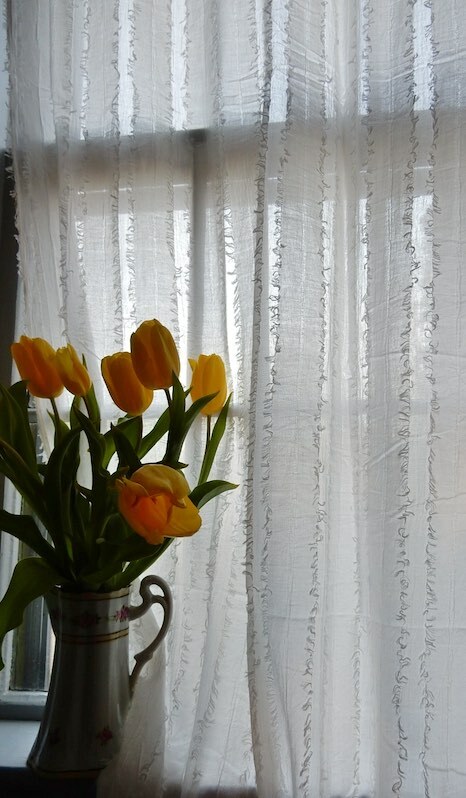 This curtain can be shortened to your window length if required.